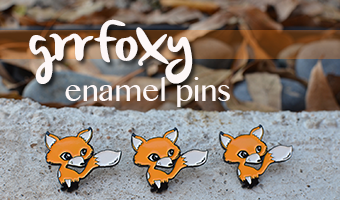 Looking for more DIY treats? In true Pavlovian style, as soon as my dogs hear the ice tumbling from the freezer, they come running. Sam and Osa already already know I will give them an icy treat, and now that summer is upon us I try to hook them up a little more often. 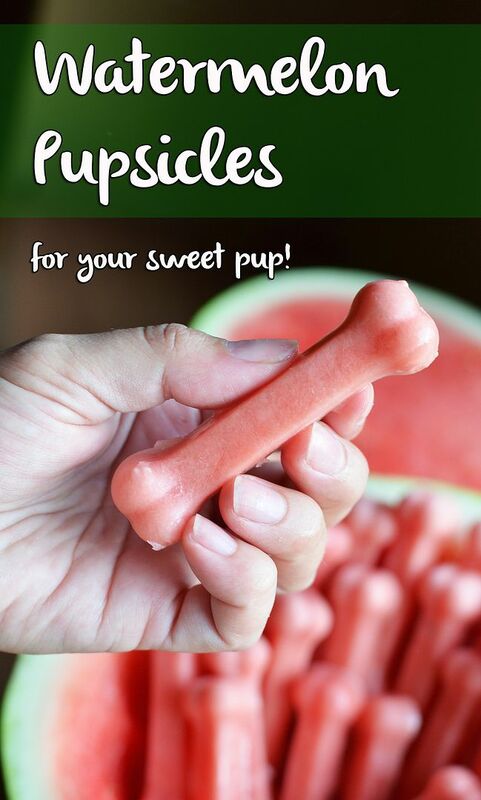 A while back I wanted to help my sweet pups cool off with something more fun and less bland. Enter Pupsicles! They loved the peanut butter version of course, but that color…left a bit to be desired. I noticed the drool hanging from their cute little jowls whenever I snacked on watermelon and decided to do some research. 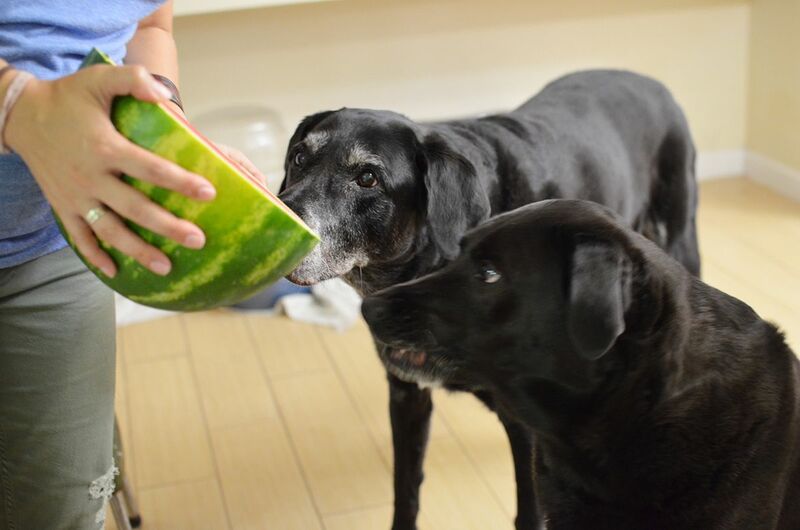 Watermelon is perfectly okay for dogs to eat as long as you remove the seeds first because they can cause intestinal blockage. 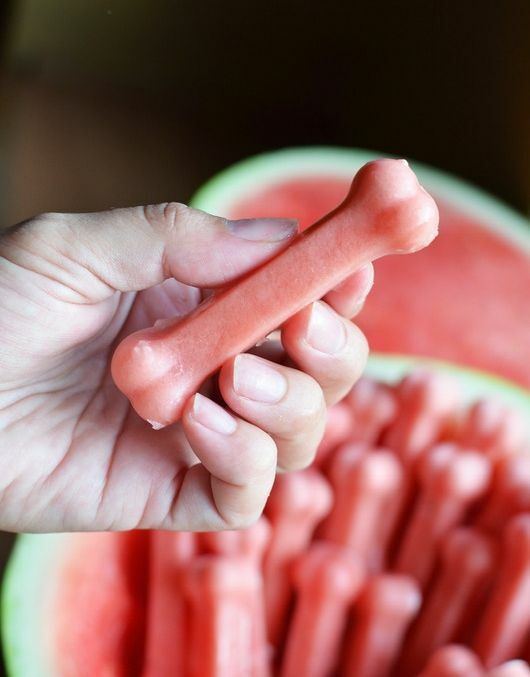 A few frozen dog treat recipes later, I decided on this one because you only need two ingredients! Fact: Be careful feeding apple slices to your dog – remove those seeds!! OITNB fans might already be aware – but apple seeds contain cyanide. A few seeds are fine, but enough over time can be hazardous to your little fur baby. Also remove the core as it can be a choking hazard. Scoop out about 1/4 of the melon [[and eat the rest because pregnant]]. 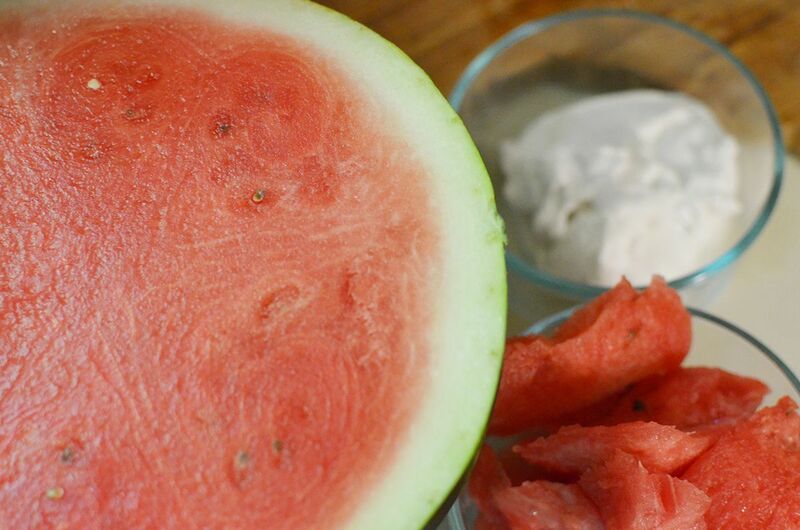 Blend together with the can of coconut milk – add more watermelon if you want a darker pink. How do you keep your dogs cool in the summer? Have you tried any similar kinds of recipes? I melt 100% organic coconut oil and then pour into ice cube trays that have 2 or 3 blueberries in each cube and freeze. My two fur kids are just over the moon for these treats (I give them one a day). I’ve also used diced pear or diced peach – equally as yummy. 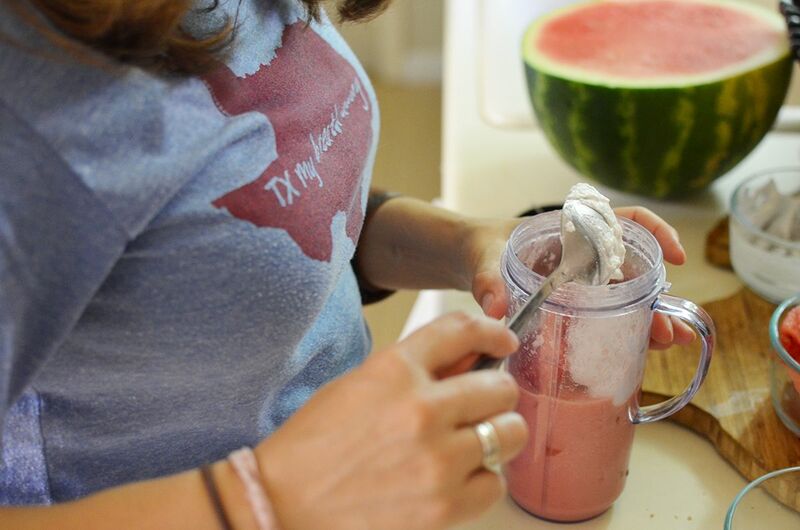 I’ve frozen slushy watermelon with non-fat vanilla yogurt too. They love ’em all! That sounds amazingly healthy! I bet their coats are beautiful. Thanks so much for sharing! 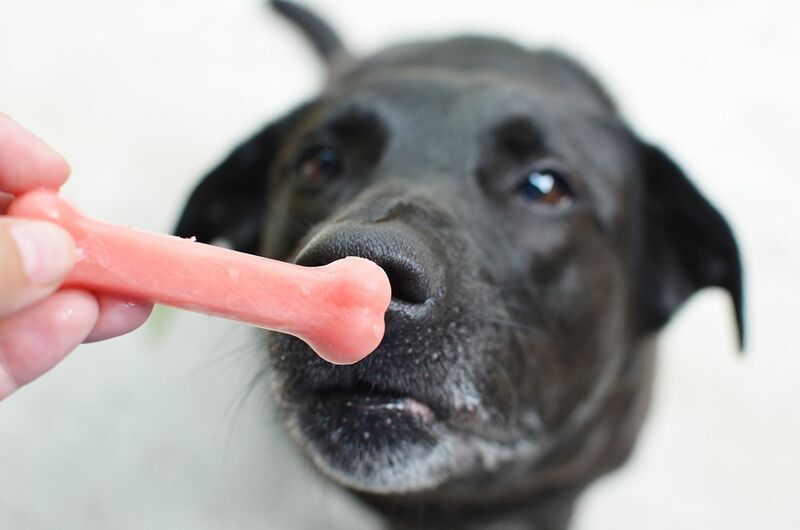 I put low sodium chicken broth, beef broth or veggie broth in my ice trays and after a hike on a summer day, my dog loves these treats! oh that’s a nice and easy one! my dogs love ice cubes! My dog drools over cantaloupe. I think I’ll try it in place of watermelon. Thank you for this idea! Simple and healthy! Where did you find the dog bone shape trays? 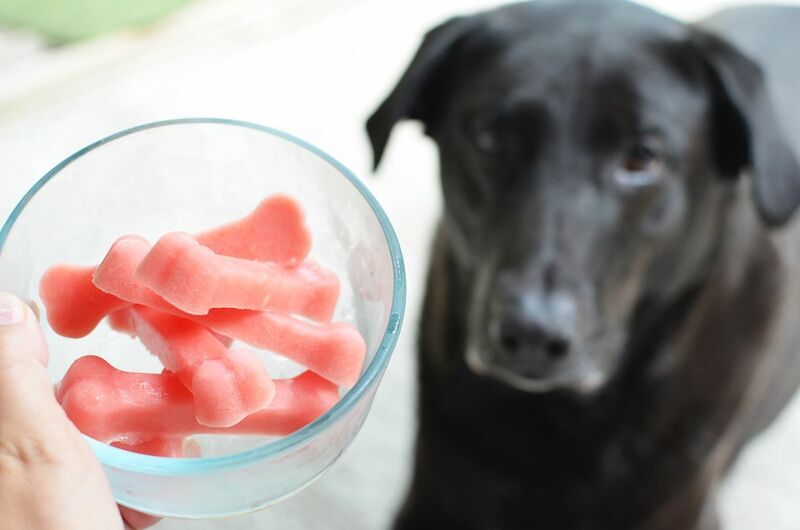 Hi, Do these treats have the texture of a popsicle or are they hard like an ice cube? My vet recommended I stop giving my dog ice cubes because of the risk of broken teeth. 🙁 She loved her ice cubes so I am trying to find a softer, frozen alternative. Thanks! They’re actually a lot softer than ice cubes! I think the watermelon’s texture keeps it fro getting very hard. 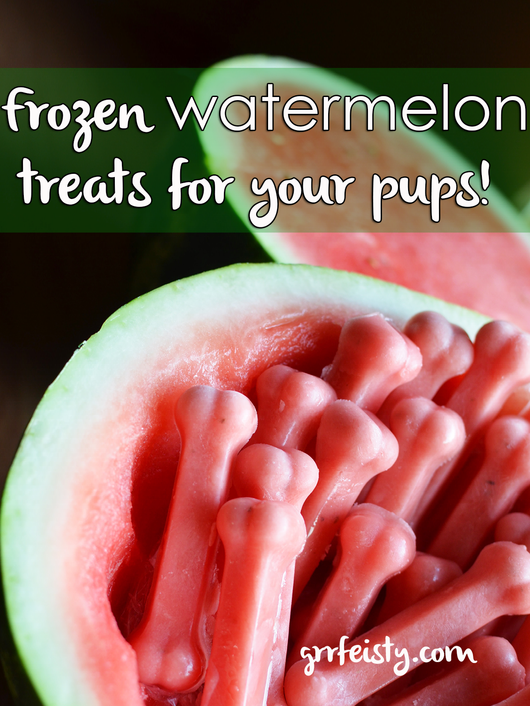 FROZEN WATERMATER TREATS FOR YOUR PUPS! I have puppy that’s still cutting teeth wondering if frozen treats would help like a baby when cutting teeth . Roxy I lived in El Campo south of H-town.